The following were questions posed to Richard by writer Chris Arrant for a story on the transition from pen to computer lettering. You can read the finished article at ComicFoundry.com, which also includes quotes from lettering master Todd Klein. Presented here are the original questions and Richard’s unedited answers. 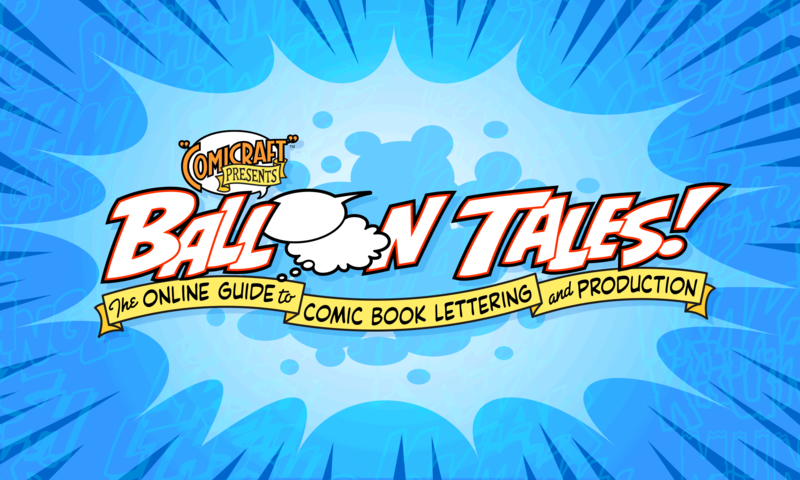 Chris: Is it true that you were the first letterer to letter a professional comic digitally? Rich: No. I first became aware of computer lettering when David Cody Weiss lettered a SHADOW graphic novel digitally in 1990 or so, and then John Byrne created fonts based on the lettering styles of letterer Michael Heisler and artist Dave Gibbons. Neither Mike nor Dave were happy about Byrne’s adaptations of their work so he struck a deal with letterer Jack Morrelli and lettered NAMOR and many more of his Marvel books digitally from then on. Seeing Byrne’s work was the wake up call, and I quizzed him about his process in the lobby of the Westgate Hotel during the San Diego Comic-Con of ’91 or ’92. I pretty much decided then and there to get on the digital beam. Chris: Even though you still needed to print out the lettering so it could be pasted up, how was those initial digital jobs for you as a pen letterer all those years? Rich: An incredible RELIEF! Pen lettering is an enormous struggle — you’re fighting with pens, ink, textured art paper and/or slick vellum, AND you’re often fighting tiredness and eyestrain on top of all the rest. Digital lettering never tires, and it’s been years since the middle finger of my right hand has been calloused and stained with ink. And of course, it’s easier to work with assistants who can attempt to match your style when you’re working digitally as opposed to with pen and ink. Chris: Can you pinpoint the first book (or books) you did digitally? Rich: PUNISHER/WOLVERINE illustrated by Gary Erskine, and HELLSTORM drawn by Michael Bair. The first mistake I made was judging the point size — the lettering was WAY too big. There were also some short stories I lettered for Marvel editor Rob Tokar and, later, MARVELS. Our real breakthrough work was on GHOST RIDER 2099 and GENERATION X.
Chris: What was the font you used for those first assignments, and how did you develop the font? Rich: My first font, ‘Letterbot’ was based on my own lettering style — the first versions of the font were very stiff — I caught myself consciously trying to improve the look of my natural lettering style. Comicraft’s fontmeister, John ‘JG’ Roshell, took the work away from me and preserved all the elements of my lettering that made it unique. We now sell that fontstyle under the name ‘HedgeBackwards,’ after my semi-autobiographical cartoon strip. Chris: What would you say is the most popular lettering font currently being used? Rich: Our cheapest — WildandCrazy! Ten years ago the font Whizbang was everywhere, and JG and I consciously marketed a font which we felt was cleaner, tighter and of a higher quality… at a better price. I think we succeeded! Chris: What font has been your best seller at Comicraft? Rich: Probably the sound effect font ‘Zoinks,’ a bouncy, fun and friendly sound effect font also based on my natural lettering style.